so is this thread the last two games you bought, or the last game you bought? Did you actually finish both purchase transactions at the same time for those two games? scott1598, I thought you were playing Halo 3...wait...oh...scott did not start this thread?...oops. Probably the last new game I have for a month or two. Battlefield Bad Company 2 and BioShock2. And I bought them both at the same time, thanks to the RZ SMS Text deal on BioShock at Best Buy and a PM of Walmart.com's price on Bad Company. Fear for the Xbox 360. For some reason no store around me has new copies and Amazon is way overpriced for new copies of Fear. A friend of mine keeps bugging me to get Pokemon so we can battle each other. I'm still on the fence on that series. They all seem the same with not much of a story. But i keep hearing they're fun addictive games. Anyone on here play them? ^ I thought you had to be at least 13 to sign up to any online forums like this. The last game I bought technically was Just Cause 2 for the 360. But since that won't be here til Tuesday, it'd be Lego Rock Band for the 360. Bad Company 2 with Mass Effect 2 when Toys R Us had that misprice. If i had more time i would also pick up the new Pokemon game as well. It coming packed with a pedometer sounds amusing. FF13, though who knows when I'll get to it. I have a very bad habit of buying games even though I have a huge backlog. Flock and Shatter on PSN. 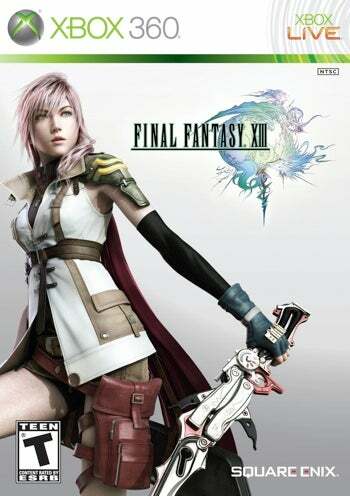 I've got a cold so I went out and bought FFXIII today, not really digging it yet, but I think it's a general thing toward RPGs right now -- the length is discouraging and so far the game is less than completely engaging. Before that was Hard Rain. I'm gonna be busy for awhile. Although all games I got deals on at Hastings or Amazon promotionals. I never pay full price for a new release. Last Remnant (2 copies). I couldn't find another $5 clearance game I was interested in, so I got 2 copies of Last Remnant. This is actually the best video game deal I have ever gotten.